The following case studies very slightly predate the time when the Hydra Project renamed itself the Samvera Community – but it’s the same software framework and the same Community that they refer to! As the oldest public library system in the country, the Boston Public Library (BPL) holds a vast wealth of culturally significant materials in its collections, which they have been digitizing for many years. Until recently however, a unified solution to describing and providing access to the tens of thousands of digital objects in their collection had proven elusive. Without a system to store and share the materials, digital images and spreadsheets of metadata piled up on network shared drives, and the only access for the public was via BPL’s Flickr account, which was an unsustainable situation. Staff at the library tell us “When the BPL was looking to build a digital asset management application, we needed a system that could grow and change with our evolving digitization and metadata efforts. We knew it had to be open-source; it had to scale to millions of objects; it had to allow us to manage a wide variety of files and formats; it had to be completely customizable; and it had to be based on a technology stack capable of supporting enterprise-level architecture. Given those requirements, Hydra was an easy choice to make. In 2014, after an 18-month effort with two full-time developers, BPL launched their new repository for managing, preserving, and sharing digital objects based upon Hydra, Blacklight and Fedora. The project is unique in that this repository is also used by Digital Commonwealth, a statewide initiative supporting the digitization of cultural heritage materials held by Massachusetts libraries, museums, historical societies, and archives. 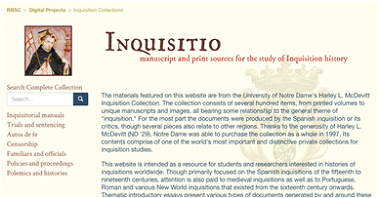 The site combines a mix of hosted digital content and metadata records harvested via OAI-PMH, and serves as content hub for DPLA. By the start of 2017, the repository featured over 215,000 hosted items and over 239,000 harvested records contributed by over 150 different institutions. Northwestern University Library (NUL) is home to a large number of distinctive, rare, and unique collections including the largest separate collection of Africana materials outside of the continent and the largest transportation collection in the world. As part of NUL’s mission, we needed to create access to and preserve portions of these collections. We had made great strides in our efforts with Fedora as a stand-alone system, and found it critical to our success to create a sustainable and invigorating environment for our developers and stakeholders. 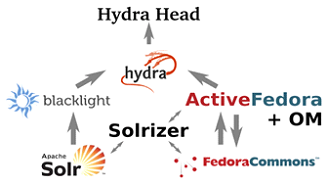 While not a founding member of Hydra, we quickly saw the benefit of joining an open-source community to leverage and contribute to a common technology stack that is built upon an adaptable framework of modular services and configurable components. In 2010, with a grant from the Institute of Museum and Library Services, NUL began work with Indiana University to plan and develop and open source system called the Avalon Media System for managing and providing access to large collections of digital audio and video materials. The idea was to create a system that enables libraries and archives to easily curate, distribute, and provide online access to their collections for research, teaching, and learning purposes. The planning for Avalon [the Samvera media system solution bundle] occurred around the same time we needed to replace our old image digital library with a new image repository system, leading us to explore development within the same community in order to optimize staffing. Northwestern invested heavily in the Hydra Community, growing from two developers to five back-end developers and one front-end developer since joining the project in 2012. As at spring 2017 we have a full-time project manager, a metadata coordinator, a digital curation librarian, a digital preservation librarian, and administrative staff working on our local repository work, Avalon, and participating in Hydra’s working and interest groups. Working with an open source community and like-minded partners is first and foremost the reason Northwestern finds participation in the Hydra Community appealing. The ability to collaborate with institutions around the world on a project built on cooperation, collaboration and a shared vision for the future of libraries is core to our ethos. In early 2009, as we approached the challenge of creating a digital repository and related services for our archival collections, we saw a problem much larger than ourselves. After an earlier failed attempt, it was clear there was no vended solution that was mature and flexible enough to meet our needs. We were also just beginning to learn what it meant to run a digital repository, and the prospect of creating and maintaining solutions by ourselves was extremely daunting. Subsequently, through progressive views within our library administration, we had support to turn to the burgeoning library open source community, seeking willing mentors and collaborators. Quite fortuitously (or perhaps through a series of fortuitous events), we came upon early members of the Hydra community in 2009 and early 2010. We made contacts with members of MediaShelf at Open Repositories (OR) in 2009, who made us aware of events like the Red Island Repository Institute (RIRI) at the University of Prince Edward Island (UPEI). We then began experimenting with Fedora Repository after OR, and I attended RIRI in the Summer of 2009. As a precursor to later Islandora Camp and Hydra Camp meetings, the week long event was a gathering of experts in the Fedora community with sessions on high level content modelling for Fedora and hands on sessions using Islandora, Miradora, and ActiveFedora. Subsequently, Stanford invited us to attend the inaugural Libdevconx event in March of 2010 (now LDCX). With the event grounded in the spirit of Ben Franklin’s quip from the dawn of the American Revolution, “we must hang together, or surely we will hang apart, ” I was immediately struck by the warm, generous, and brilliant individuals that were present. These were clearly the people we needed to work with, and we would do much better directing our efforts towards the Hydra project versus going it alone. So, in late Spring 2010, we boldly forged ahead with our small team of four individuals and began building a digital exhibit utilizing ActiveFedora and Blacklight. The first version of Hydra as a solution linking Blacklight and ActiveFedora (as shown in Figure 1) was not really complete yet though. Luckily, developers at Stanford University Libraries had created an early prototype of a component that would synchronize records in Fedora and Solr, thereby linking ActiveFedora records with Blacklight records. Through an early demonstration of the selfless spirit of the Community, Stanford shared the pre-release code dubbed Shelver (later renamed to Solrizer), and we were then able to complete our first digital exhibit in time to be a digital companion for the physical exhibit happening in September, 2010. As a result by joining this community, our team of four developers, with little to no digital repository experience, was able to create this digital collection and exhibit in six months time. We later formally joined the Hydra community as the first non-founding Hydra Partner, and have been part of the Community since 2010. Throughout that time, we have created many different Hydra solutions, we have contributed to Hydra’s core code, and we have participated in multi-institutional projects and Community working groups. These include our fastest implementation completed in six weeks, and our Seaside Research Portal. In 2015, we launched CurateND, our institutional repository, built upon components collaboratively built with institutions in the Hydra community. We have accomplished much more than we ever would by ourselves, and we firmly believe in Hydra’s core philosophy of, “If you want to go fast go alone, if you want to go far go together”. In the end, we truly love Hydra because of the people, and our core commitment to each other’s success. Hydra is a true demonstration that the solutions which last are more about the people than the technology.